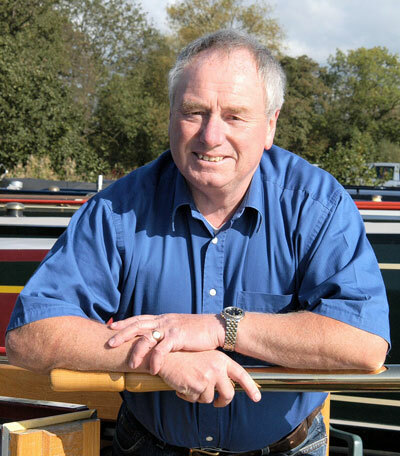 When I lived and worked at Norbury Junction in the 1960s I was involved in the founding of the Shropshire Union Canal Society and was chairman for a period; I was also a member of the IWA North West Branch committee. On arrival at Fradley Junction in 1969 as a partner in Swan Line Cruisers (and to live here in Alrewas) I was approached by a number of moorers – particularly the late Ben Lee – and asked would I head-up founding a ‘Trent & Mersey Canal Society’; Ben said “this canal needs one”. He didn’t realise how prophetic his words were to be. I declined, with the excuse that I wanted to stay clear of any more voluntary work for the time being. A few days later a gentleman of rather precise military type bearing strode into the Swan Line shop. This was Roy (Royston V.F.) Torrington, senior Derby fire officer and chairman of IWA Midland Branch. He said, “You are Harry Arnold aren’t you? A committee member of IWA North West Branch until you moved here?” I couldn’t deny either of course so he followed it with “Midlands Branch committee meets a week next Thursday at Sutton Coldfield – Be there!” So this led me down a whole new voluntary path within IWA – joining a committee that had such luminaries on it as David Hutchings, George Andrews, Crick Grundy, Tom Henshaw and Stan Clover – some of whom I had at least met. Also, after a move into waterway journalism, it led to the starting of Waterways World. Harecastle Tunnel collapsed (Ben was proved right) and the Trent & Mersey Canal Society was founded in 1974 – by Steve Guest and others – initially to campaign for the tunnel’s reopening. The campaign was successful of course but I was mainly involved in covering it as a journalist. I had joined T&MCS but, because of other commitments – such as also being involved in the starting of the Waterway Recovery Group – kept my distance. Then one day the then T&MCS Chairman, the ebullient Roger Lee – who was to become a great friend – called at my house, ostensibly to hand-deliver my copy of the magazine. Now when a chairman calls on you – be on your guard – he is after something. I know, I have used the same technique. Roger told me this story of the ambitious event the society was planning to celebrate the forthcoming 1977 bicentenary of the canal and some of the problems they were having with certain aspects of the work of the organising sub-committee; particularly my speciality of press and publicity. To compound matters Secretary Mike Mitchell had broken his leg. So Roger charmed me into ‘just coming along to a sub-committee meeting’ which led – beyond the successful event at Wedgwood – to taking over editing the magazine (renaming it Grand Trunk), membership and chairmanship of the Southern Section committee, the main committee and eventually chairman of the society. My wife Beryl and the family were also soon very involved. Along with the campaigning, it was a time of meeting many new friends, having great laughs, and cementing those friendships, many of which have lasted until this day. The only regret being those who have passed on. But we have lasting and loving memories of good times with them. This – and working for the future of the Trent & Mersey Canal – is what a waterway society is all about. So your support by being a member of T&MCS is not only vital for the canal but you can have a good time too. However – Just beware if the chairman comes to call. Before you realise you could be stepping into his (or her) shoes! NOTE – Sadly, Harry died on 1st November 2018. He was still very active within our society, with most issues of Grand Trunk using photos supplied by him (either requested by the editor, or suggested by Harry himself as being relevant to that issue). He will be greatly missed.